This is the US cemetery at St-Laurent-sur-Mer, which stands above Omaha beach on the Normandy coast and in which are buried over 9,000 servicemen. Visiting it is a sobering experience and you need to give yourself time to slow down and get in tune with the enormity of the allied invasion of the continent and, by extension, the Second World War itself. Visitors often report that it is the reading the names of the young men lost that hits the heart the hardest, for me it was the towns and places from where they came, the cities and rural communities that would never get to see how the children they had cherished would mature and take up their role in the societies in which they were raised. The visit also ushered memories of my own youthful days, when I was not much younger than the fallen buried here. As Scouts we would parade through the village every November to commemorate the fallen of the two world wars (no mention made was made of any other) and it was considered an honour to carry the flag, one that I eventually attained in my final year in the troop. But that is not why I remember those cold and often wet days as we shivered around the the war memorial, no, it was the older men that came along and stood stiffly in the wind, their heads often bowed towards their medals as they silently cried. We were just kids, we didn’t understand back then, maybe we do now, I hope so anyway. We had spent our early years being told not to cry, it’s only sissies that cry, grown men don’t cry, yet here they were, crying. These were the very people we had been brought up to respect, they had been held up as examples for us to model our lives upon, and in a way we did. In fact, looking back, that respect has only grown as I think of those that attended to our upbringing in the sixties and seventies. Many of them had fought in the second conflict and had seen the horrors close up, lost their friends and known the terror of battle. Those that had come through were wiser for it, they were slow to judge or condemn, they respected the society that they had fought to preserve and we as youngsters could only be influenced by the environment of tolerance they exuded and for many years I wore the poppy as an act of gratitude and remembrance to those that had died. Do I wear one now? An emphatic NO. There are many reasons for this and I am glad to see the debate raised and discussed in the media and beyond with what might be termed the establishment insisting that all should do as all right thinking people should do and that is wear the symbol in every moment of the day. To me that is the sort of nationalistic pride and coercion that the old soldiers fought to defeat, it was part of their enemies character, it had brought the pain and misery of war upon civilisation in the first place and had no position in the world which they had saved from fascism and foreign rule. Today the poppy is, in the Royal British Legions own words, a ” brand”, a logo to be sold and pushed upon the public, tugging at their conscience with the sort of power that few other campaigns can match. Is this what earlier generations really fought for? They died for freedom and that freedom must encompass whatever the Legion choose to do, just as it must allow the rest us the liberty to remember our heroes in the way we feel most appropriate. Succumbing to the arrogance of the marketeers is not the way I wish to do so and the subliminal bullying that goes with it has no place in any sort of community that I would admire, and I doubt they would either. 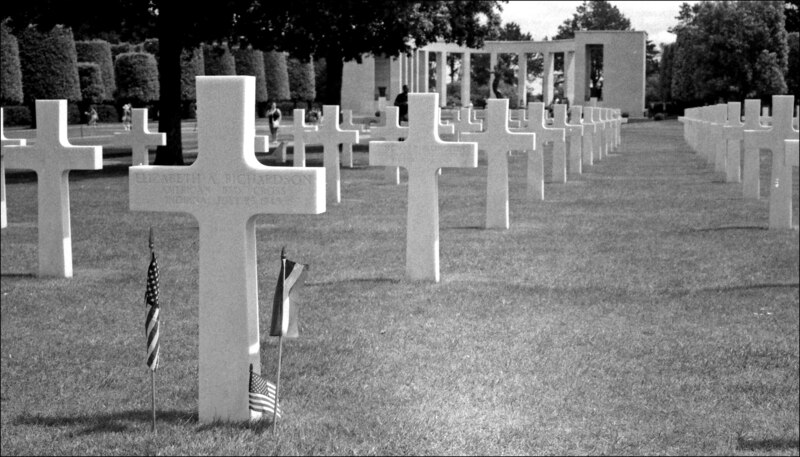 This week I shall remember those who gave so much so that the following generations had so little need to know of war. My gratitude is not that as ordained by a group of well paid PR honchos round at the Legions HQ, but instead it is as deeply felt and sincere as the tears that rolled down those cheeks on the cold autumnal days of just a few short decades ago. This entry was posted in Uncategorized on November 7, 2016 by Triplemanr.